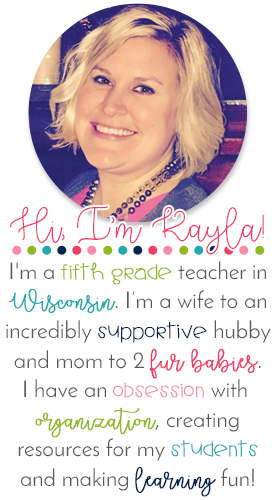 I ditched the traditional teacher desk and just stick with my small group table. I spend the majority of my time here anyway and rarely at my desk. It was a place to hoard things, which I hate doing. 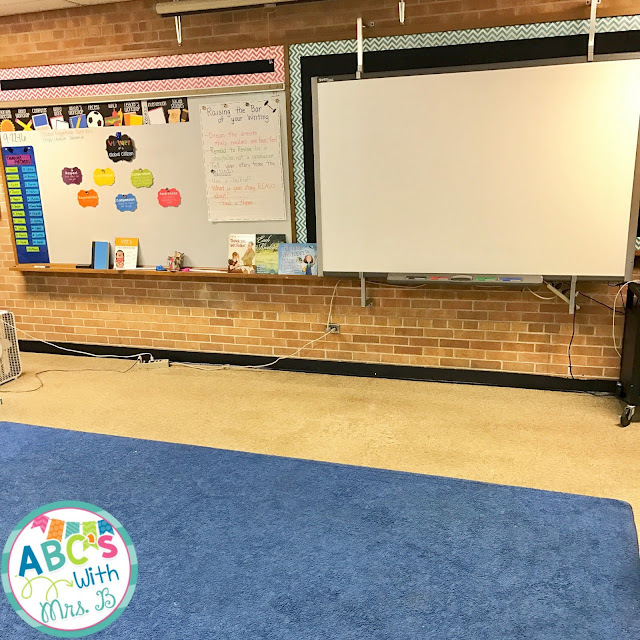 It opened up so much room for my students and flexible seating options once I got rid of it. 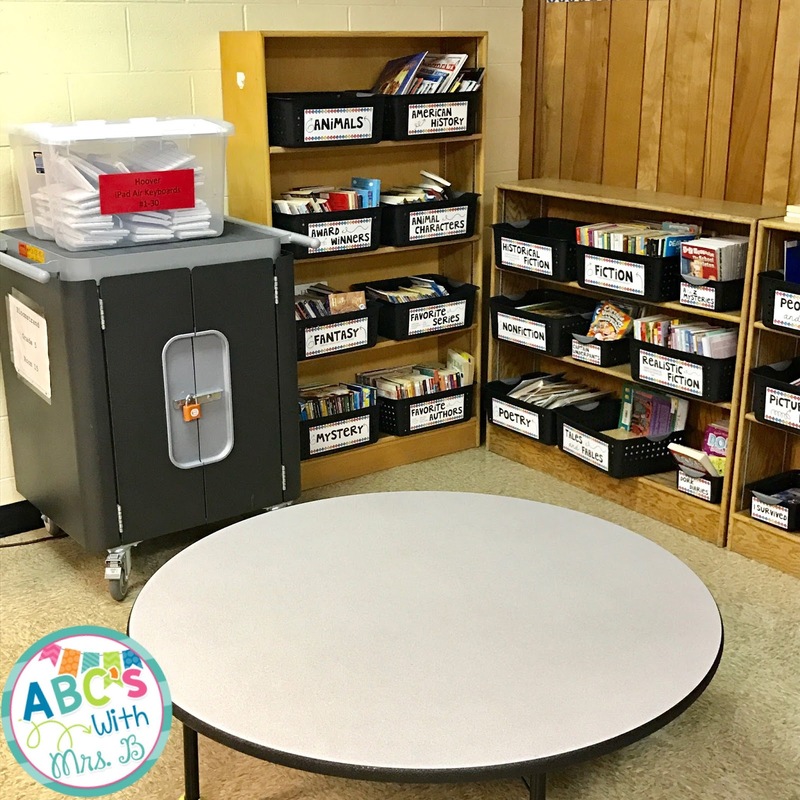 Here is a small glimpse of the classroom library - not super decorated and kind of a small library, but we love it. We have our iPad cart stored back here, and a small table with the legs cut off. It's called our "sushi" table. Kids LOVE sitting on the floor and doing their work on the table - great flexible seating option! 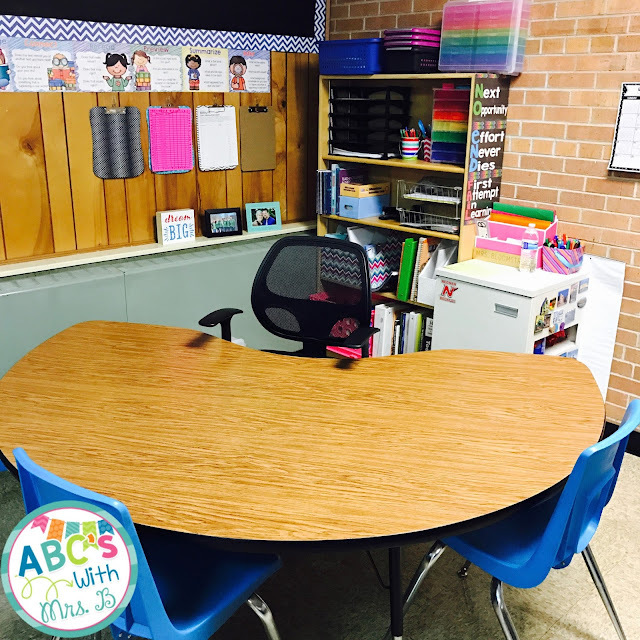 Here is my main teaching area. 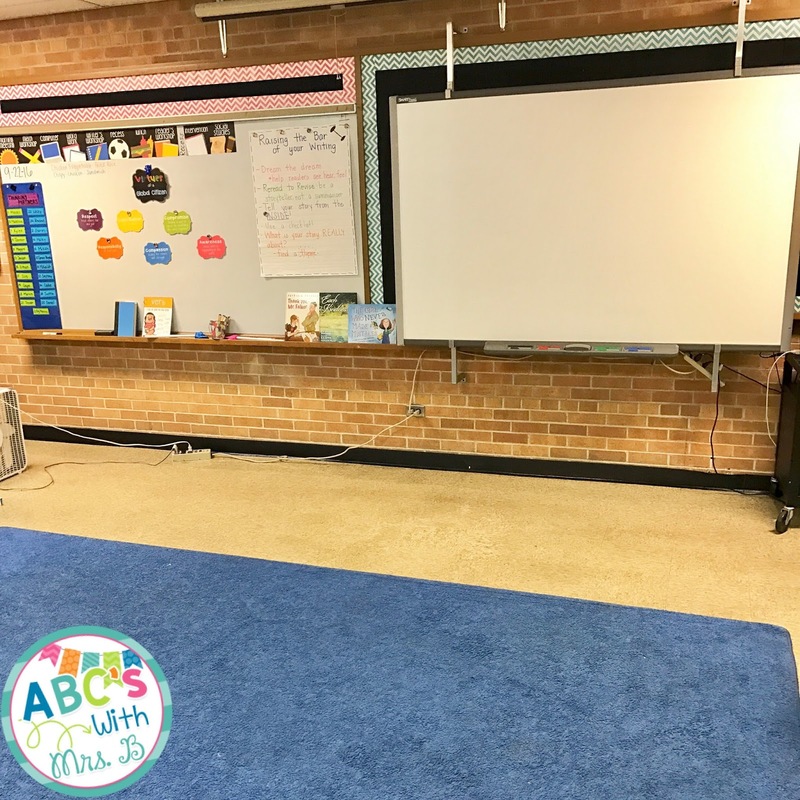 Kids gather around the carpet to view the SmartBoard or the whiteboard. Our schedule and our thinking partners are up in front of the classroom, as well as my materials. A stage would look great up here some day! Here is where I had to get creative. I need a place for storage for book boxes, but this on the floor just took up too much room. I have this long row of cabinets and this works perfectly. 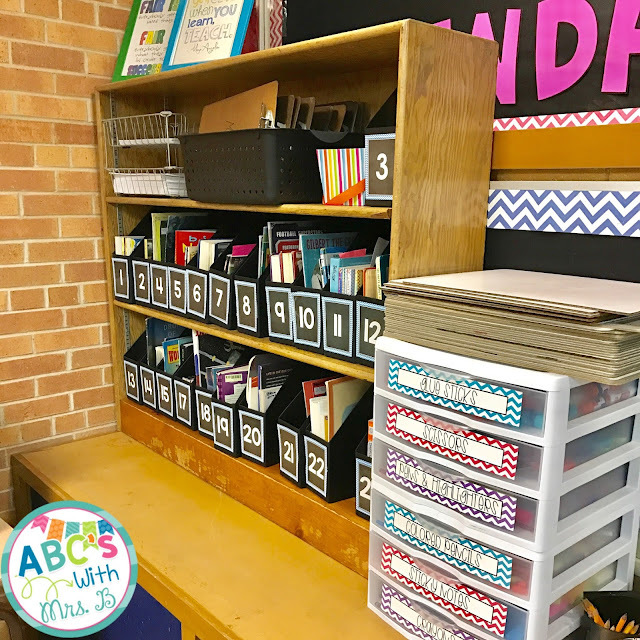 Student supplies are also in this corner for student use.